From the early 1900’s until the mid 1940’s, sturdy toy vehicles for children were made from cast iron by U.S. companies such as Arcade and Hubley. Although highly detailed, these pieces were extremely heavy and very expensive to ship to market. Tootsietoys produced the first die-cast vehicle – a replica of the Model T Ford – in 1906. Die-cast cars were lighter and less expensive to make, and during the 1920’s, Tootsietoys had that market all to themselves. 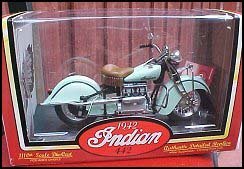 By the late 40’s, cast iron vehicles had been driven off the road by their die-cast competition. British manufacturers definitely dominated this field until the late 60’s and those early vehicles are the most highly prized by collectors today. Corgi – These have been made in the U.K. since 1956, and the character-related vehicles, such as James Bond’s or Batman’s, are highly prized. 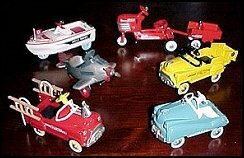 Matchbox – Matchbox Miniatures debuted in 1953. The British manufacturer, Lesney, didn’t start putting dates on the base plates of models until the early 70’s, and in 1982 the Lesney trademark was dropped. These help to date early pieces. In 1988, the company started to re-issue replicas of early models, so a careful study is recommended before purchasing older vehicles. 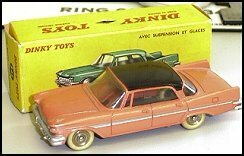 Matchbox has not fared as well on the secondary market as Dinky, probably because at their high point Lesney was churning out five million cars a week. 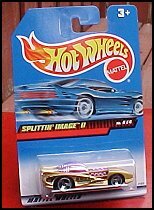 Hot Wheels – Introduced by Mattel in 1968, Hot Wheels revolutionized the die-cast market. Smaller and lighter than their British counterparts, Hot Wheels were built for speed. Kids loved the bright colours and the line was an instant hit. Until 1971, the cars sported red sidewall tires and these “Red Lines” are a favourite with collectors. (Some new models also have commemorative redlines, so study the line before purchasing.) From 1983 until ’87, Goodyear produced the tires for the “Real Rider” series and their logo is on the sidewalls. Over 2 billion Hot Wheels vehicles have been produced since their inception. Tootsietoys – Due to mergers, the originator of die-cast toys manufactured under the name Dowst Manufacturing from 1926, and Stombecker from 1961. The last all-metal vehicles were produced in 1969, and now Tootsietoys combine plastic and metal parts on their highly-detailed models. Pre-war pieces and those with metal wheels are the most popular with collectors. Ertl – This American company initially focused on farm vehicles, and Ertl Toys are very well-respected by die-hard die-cast fans. Note: This site is not affiliated with any of the companies listed on this page. It is designed to provide information to collectors of Die-Cast Toys.